There are many home repair and handyman tasks you can take on yourself, but plumbing is most certainly not one of them. Your home is a major investment, and water running everywhere can cause major structural damage to your space. That is why you should always contact Crescent Plumbing, Heating & Drainage every time you require a plumber’s expert services. We have the expertise you need. We are fully licensed, fully bonded and insured, with a reputation for quality work. Plumbing Services Vancouver. We have been in business for several years and our staff are professionals in all aspects of plumbing repair and plumbing installation – from simple repairs such as replacing hot water tanks to advanced plumbing jobs like hydro scrubbing. We aim to meet or exceed your expectations. You can be assured you will receive superior plumbing service when you contact Crescent Plumbing, Heating & Drainage. 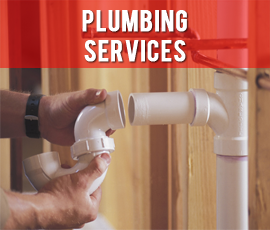 We employ only skilled plumbers who are industry trained to handle all manner of plumbing repair work. Our technicians are fully prepared for every job we encounter ~ our reputation depends on it. That means you can always count on receiving the best service available in the area. Our expert plumbing repair technicians can be dispatched without delay any time you have a plumbing emergency. We can appreciate the urgency you have with the situation, and we always respond accordingly. All homeowners should have a peace of mind knowing their plumbing system has been installed, maintained and / or repaired with a plumber’s expert services. Many of the most common types of plumbing issues come from poorly insulated walls, faulty furnaces and closed main water shut off valves. Hot water tanks are prone to mechanical failure over time and water that takes too long to heat up or is not as hot as necessary are common signs that it is time to repair or replace hot water tanks. From plumbing installation to plumbing repair and everything in between, Crescent Plumbing, Heating & Drainage. You can expect it to be done promptly, professionally and at a reasonable rate. Whether your home, commercial building or revenue property is new or old, we are here to help. We believe we provide the best plumbing services in the Lower Mainland. For more information, contact us today.